During the 2016-2017 fiscal year, ITS User Support & Engagement provided substantial support to the migration to Office 365, continued to grow use of the Adobe Creative Cloud and Lynda.com services, created a new service catalog and gained Dell repair certification. Please keep reading for details about these accomplishments and many more US&E highlights. As an integral part of the Office 365 project team, the ITS Service Desk and the Office 365 Field Team provided support to all affiliated faculty and staff email accounts that were migrated from the on-premise Exchange system to Office 365. The project ran from August 2016 to July 2017 with active migrations and support occurring in seven of those 11 months. The ITS Service Desk resolved more than 2,400 tickets directly related to the migrations. The Service Desk’s Tier 2 team, led by Lyndon Joyce, provided much of the support to the migrating users and also worked with Microsoft directly on issues that needed escalation. As part of the preparations for the migration of campus, the ITS Service Desk also documented new FAQs, help articles and self-paced training resources.The Office 365 Field Team provided personal, desk-side, hands-on support each go-live day for migrating departments. Of 13,599 mailboxes, the Field Team documented 1,987 unique interactions, reaching roughly 15 percent of customers in their offices, ensuring mail and calendars were fully functional post-migration. 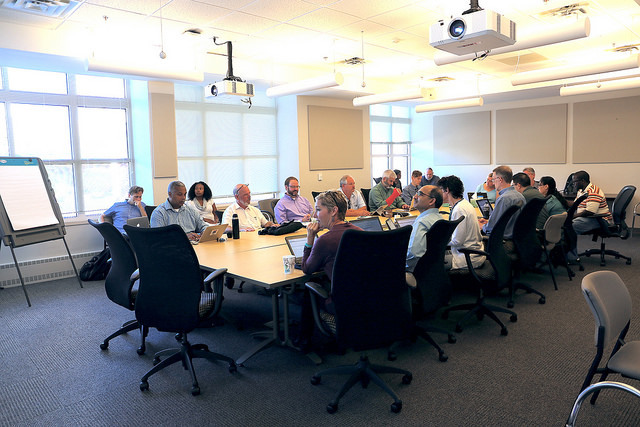 On project completion, US&E began transition planning for the Office 365 service launch, making improvements and additions to available Office 365 information on help.unc.edu, as well as assessing future user-education opportunities through collaboration with Carolina Technology Consultants (CTC), ITS and campus influencers. More than 11,000 students, faculty and staff activated licenses for Adobe Creative Cloud since ITS launched the service in September 2016. As part of the agreement with Adobe, any faculty or staff member at UNC-Chapel Hill can gain access to this suite of applications for $20 per year for departmental use; students and 2,000 instructional faculty and staff members have access to the software at no cost. As part of efforts to continually improve the service, ITS changed the user information console to automate the process of provisioning and deprovisioning user accounts. ITS User Support & Engagement groups collaborated to produce the Tar Heel Tech Fair in September 2016. The information fair drew more than 1,000 attendees and participants from several ITS departments, multiple University departments and external vendors. Because it was a great success, ITS will hold the outreach event annually to promote digital literacy and services. ITS Dispatch Services and On Site Support combined into ITS Managed Desktop Services (MDS) and shifted focus from providing mostly response-based IT support to proactively managing customers’ desktop computing devices. The MDS group provides IT support services to departments, faculty and staff across campus. In the 2016-2017 fiscal year, ITS User Support & Engagement finished establishing service-level agreements (SLAs) for all groups within ITS and operating-level agreements (OLAs), which are needed to support the SLAs. SLAs are agreements between the end user and the ITS Service Desk. They spell out what the customer can expect, such as the Service Desk will answer a call within a particular number of seconds or the number of calls that the Service Desk will resolve on the first touch. OLAs are agreements between the Service Desk and individual ITS groups, such as with ITS Campus Infrastructure Services or ITS Middleware. OLAs are essentially internal SLAs. SLAs and OLAs are important because they provide ITS with a baseline for setting customer expectations for what ITS provides. ITS User Support & Engagement worked with ITS Digital Services to create in February 2017 a new service catalog that is built upon service-level agreements (SLAs) and operating-level agreements (OLAs). The service catalog provides a clearer, more consistent inventory of ITS services for ITS’ valued customers and partners across campus. The service catalog also feeds into a service-management tool. 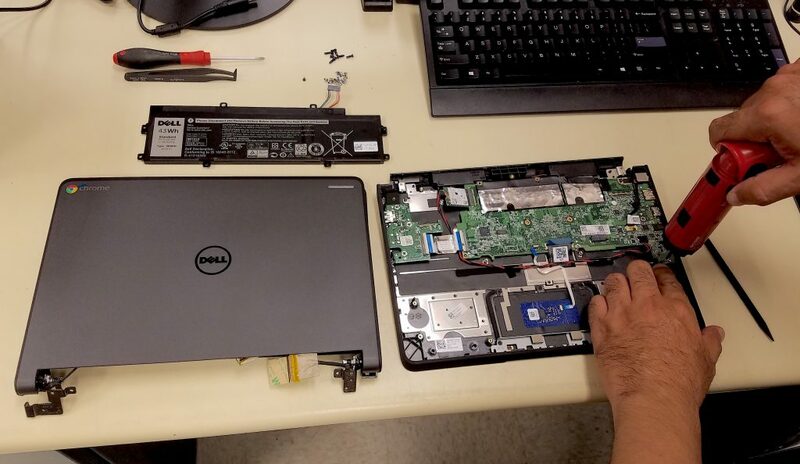 In March 2017, the ITS Computer Repair Center (CRC) gained certification to repair Dell computers, marking the third such agreement that the center has with a computer manufacturer. Previously, the center handled repairs only for Apple and Lenovo Think branded desktops, laptops and monitors. CRC pursued Dell certification after its customer, Orange County Schools, chose Dell as its primary supplier of computers. In September 2016, ITS User Support & Engagement began the process of selecting a new service-management tool for campus. A new system will enable users to submit all service requests through one tool. During the 2016-2017 fiscal year, Software Acquisition attracted 3,000 new users for the Lynda.com service while more than 180,000 videos were viewed. In comparison, during the 2015-2016 fiscal year, Lynda.com drew 4,000 new users and more than 140,000 videos were viewed. The Change Approval Board (CAB) has gone through a few revisions since its creation in April 2016. As part of the continual service improvement process of this highly functional group within ITS, CAB has implemented an incidents communications checklist, a change calendar and a yearly review. CAB, which meets weekly, also added the IT group of the University’s Division of Finance and Administration as a permanent contributor. In addition, CAB decided it will add more external contributors from the campus in the 2017-2018 fiscal year. The ITS Service Desk and ITS Communications collaborated to create 17 micro videos to help promote the Office 365 migration project via social media. 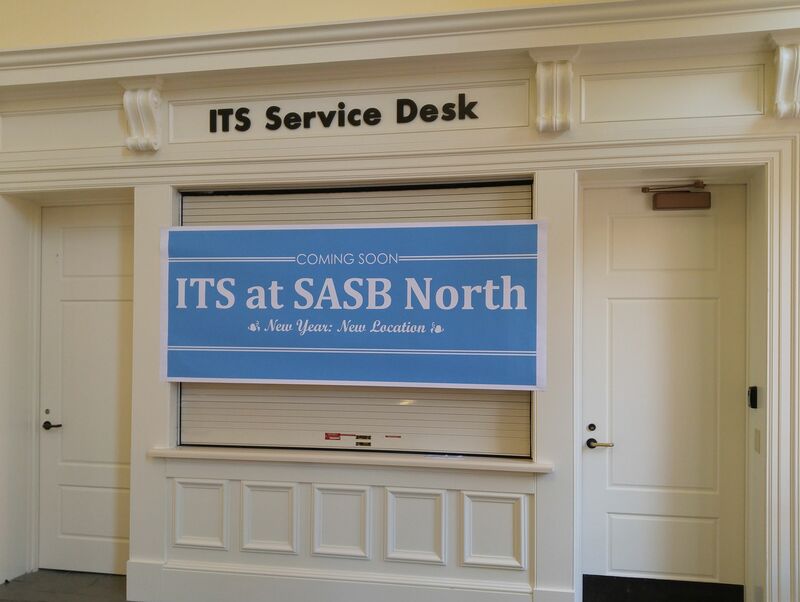 The ITS Service Desk relocated its south campus location to the SASB-North building in February 2017. This location provides walk-in support to much of the undergraduate population and departments that are located south of the main campus location. Lenovo was selected to supply desktop and laptop computers to UNC-Chapel Hill through the Carolina Computing Initiative (CCI) under a new four-year agreement with Lenovo. The contract, effective January 1, 2017, applies to computers and support services purchased by faculty and staff through CCI from 2017 through 2021. In Fall 2016, Software Acquisition and Campus Infrastructure Services finished a project to establish a formalized Desktop Management Service for the University. Desktop management is a way for IT administrators to push applications and software updates to computers without physically being at the computers that need those updates. SCCM and Casper are both applications that ITS and departments on campus use to implement those changes. After coordinating 30 Maker Cart events in the residence halls to promote the Maker Spaces on campus, in addition to 56 mobile support sites and participating in the ITS Tech Fair in the Pit, ResNET staff combined the most successful aspects of all these events. ResNET now holds two Tech Fairs in the residence halls each week to promote IT initiatives, provide 3D-printing displays and troubleshoot client issues. Currently, ResNET staff are focusing on educating students about phishing, Duo, Adobe Creative Cloud, Lynda.com, SkillfUL learning workshops, Office 365 and the BeAM initiative, in addition to letting clients know about the Service Desk and how they can get IT help in the halls. ResNET worked with HBO to hold an Escape Room event in the Student Union in February 2017. Students solved puzzles to make their way through Game of Thrones, Veep and Silicon Valley-themed escape rooms before getting a photo opportunity in the Iron Throne. More than 700 students participated in the event. 143,691 total contacts for the ITS Service Desk via phone, chat, web and walk-in support for UNC-Chapel Hill and Fayetteville State University customers for fiscal year 2016-2017. The total was 169,770 in fiscal 2015-2016. 14,778 total contacts for the Business Systems Help Desk via phone and web in support of the University’s administrative systems, such as ConnectCarolina, Infoporte, PeopleAdmin and LawLogix. Maintained a customer service Index rating of 4.9/5. Software Acquisition fulfilled orders for more than 33,000 software requests patched/updated over 21,000 devices, assisted with more than 8,000 software inquiries, billed over 1,900 customers, backed up data for over 800 computers and generated over 600 SSL Certificates during the fiscal year. The CCI program provided 3,376 computers to undergraduate students in Summer 2016. The CRC completed almost 7,500 repairs from August 1, 2016 to June 30, 2017. 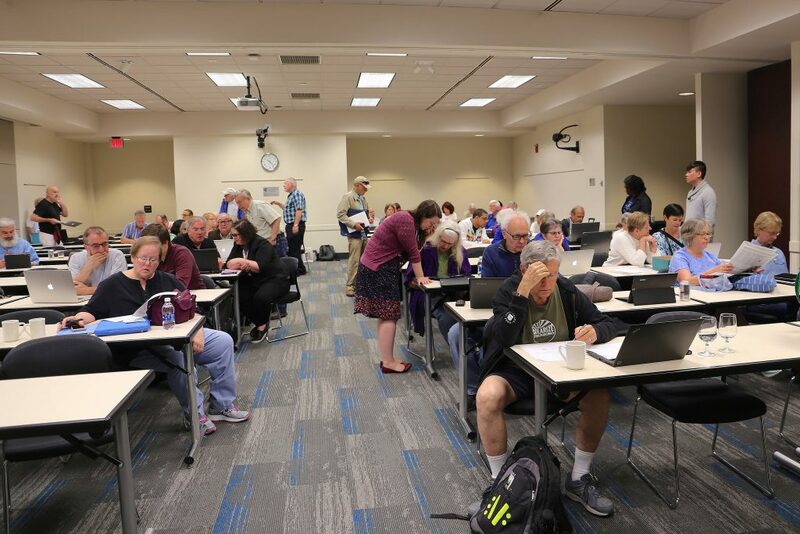 Through ResNET’s proactive support approach, the group completed 8,172 proactive equipment checklists and 10,295 proactive resident visits during the fiscal year.